The Green Phone Booth: Why Are We Afraid To Talk About Climate Change? Why Are We Afraid To Talk About Climate Change? I live in Silicon Valley. You would be hard pressed to find a more environmentally aware region. We have the highest percentage of hybrid and electric vehicles in the country. Plastic bags are banned and cities compost our food waste. Most restaurants boast farm to fork credentials and more people "go solar" every day. 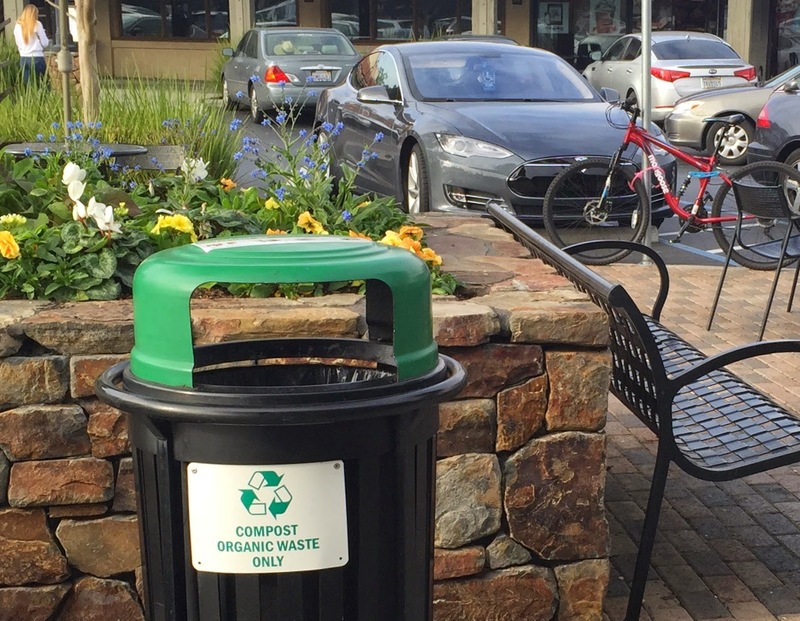 In Palo Alto - Electric vehicles, bikes, and compost cans. Even here, though, people hesitate to talk about climate change. Most Californians consider climate change a serious threat. (It is hard to ignore with all the brown lawns and bare ski slopes!) But we don't talk about climate change. We talk around climate change. "Yes, too beautiful, don't you think? It's only March!" "We went to the beach this weekend." "Nice. Really warm. Too warm. It's weird." We all know what the other person is getting at. Yet we cannot seem to form the words. To connect today's dry spell with a new future. To wonder, aloud, what our children's lives will be like? Whether retiring to Tahoe might not be a great idea after all? What will be left of our beautiful state if the drought drags on for another 10 years? storms this winter, however, the hills won't stay green long. Every now and then, I speak the words with people other than close friends. I verbally connect the dots. There is not disagreement. Just discomfort. Talking about climate change makes it real and real climate change is scary beyond words. Climate change is not something that we can continue to ignore, though. It is happening whether we want to think about it or not. So how do we talk about it when it is so uncomfortable? How do we keep the conversation going? Do you talk about climate change regularly? With close friends? Acquaintances? The guy at the check out line? What tips can you share? I live in a very NON green state and it is next to impossible to get anyone to care about the environment. They care about their guns and their college football but not the environment. Makes me very sad! Being in a very red state I don't talk about it a ton. Many of my friends and I do though. I do talk about our drought and need to conserve, you can get more on board with that around here. I think it can feel overwhelming - it's such a BIG problem. We try to make small changes that will make a big impact if everyone else does what we're doing - and then talk about the THING instead of the big overwhelming scary problem. I agree with Carissa - it's overwhelming. It's scary and unpredictable and HUGE. Where do you even start? 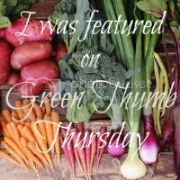 That's amazing that where you live offers food composting throughout the city. It is hard to talk about climate change, I think because people are scared and aren't sure what they can do. It's not just climate change. Isn't it hard to talk about anything of great import in casual conversation? I sometimes get on the education policy soapbox with other moms, and I don't find too many takers for that topic either. Politics - everyone looks uncomfortable when you go there. I find it tough to talk politics or policy with folks in general. Lots of folks aren't paying too much attention to current events, if they can help it. Are Plastic Bag Bans Worth It?